Anne of the Island by Lucy Maud Montgomery //Book Review// Where do I begin? Adjectives like "splendid", "delightful", "charming" and "lovely" come to my mind, however, they still seem to fall a bit short in forming a complete picture of this novel. In addition to Montgomery's stylized, descriptive sweetness, we experience a greater depth in the characters and their experiences in Anne of the Island, the third book in this series. 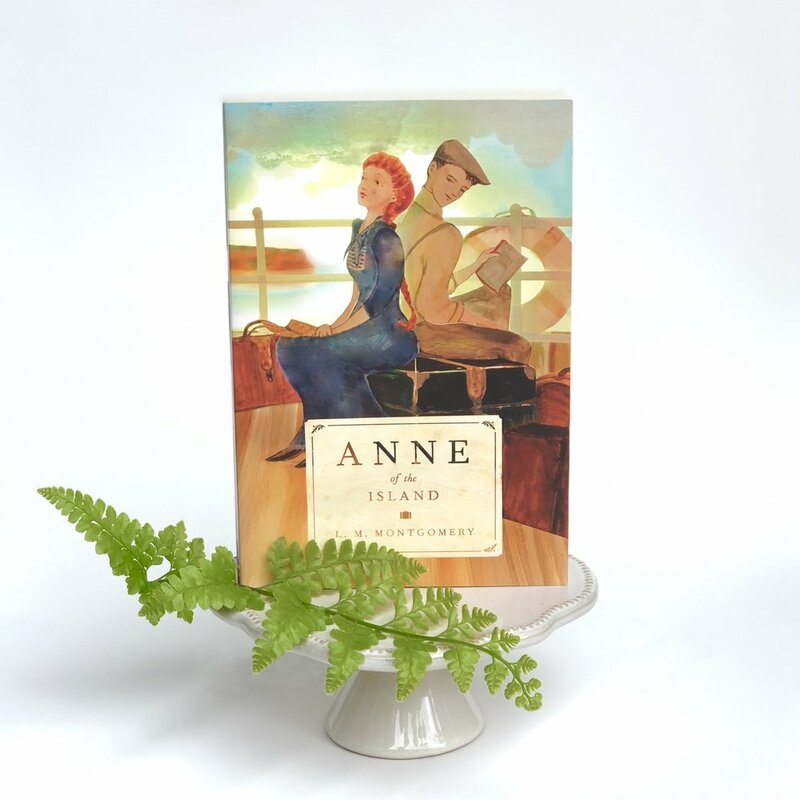 This book begins where Anne of Avonlea leaves off as we, the reader, experience Anne's continued transition from girlhood to adulthood. The story is full of heartache and joy, love and loss, new beginnings and sad goodbyes. Themes of growing up, identification, community, friendship, acceptance, education, family, perseverance, respect, maturity, love, marriage and living life to its fullest are layered throughout the story. We see Anne determine who she is (she no longer views herself as an orphan) while she explores what her purpose should be in life. Anne states, "The little things of life, sweet and excellent in their place, must not be the things lived for; the highest must be sought and followed; the life of heaven must be begun here on earth." I’m going home to an old country farmhouse, once green, rather faded now, set among leafless apple orchards. There is a brook below and a December fir wood beyond, where I’ve heard harps swept by the fingers of rain and wind. There is a pond nearby that will be gray and brooding now. There will be two oldish ladies in the house, one tall and thin, one short and fat; and there will be two twins, one a perfect model, the other what Mrs. Lynde calls a ‘holy terror.’ There will be a little room upstairs over the porch, where old dreams hang thick, and a big, fat, glorious feather bed which will almost seem the height of luxury after a boardinghouse mattress. How do you like my picture, Phil?" "Oh, but I’ve left out the transforming thing," said Anne softly. "There’ll be love there, Phil—faithful, tender love, such as I’ll never find anywhere else in the world—love that’s waiting for me. That makes my picture a masterpiece, doesn’t it, even if the colors are not very brilliant?" The love Anne has received from Marilla (and Matthew) while growing up, has laid a firm foundation in Anne's character as she prioritizes what matters most to her. The letters were yellow and faded and dim, blurred with the touch of passing years. No profound words of wisdom were traced on the stained and wrinkled pages, but only lines of love and trust. The sweetness of forgotten things clung to them—the far-off, fond imaginings of those long-dead lovers. Bertha Shirley had possessed the gift of writing letters which embodied the charming personality of the writer in words and thoughts that retained their beauty and fragrance after the lapse of time. The letters were tender, intimate, sacred. To Anne, the sweetest of all was the one written after her birth to the father on a brief absence. It was full of a proud young mother’s accounts of “baby”—her cleverness, her brightness, her thousand sweetnesses. “I love her best when she is asleep and better still when she is awake,” Bertha Shirley had written in the postscript. Probably it was the last sentence she had ever penned. The end was very near for her. There are too many noteworthy passages to recount, so my best recommendation is to start at the beginning of this series and soak up the goodness of these special books! Enjoy! "This parcel of penguins really performs!" Mr. Popper's Penguins by Richard and Florence Atwater //Book Review// I will touch on the structure and plot of this children's book, although I think the most wonderful part of the story involves the touching relationship between Richard and Florence Atwater, the book's authors. The witty dialogue and alliterative appeal make this story a delight to read aloud to young children who will enjoy the crazy antics of every child's dream and every parent's nightmare - the unexpected delivery of a penguin to the house! The line from the book, "This parcel of penguins really performs!" just rolls off of the reader's tongue while tickling the imagination of young children. Most children are classically full of questions ranging from normal to absurd and this book encourages the children to keep asking those questions. I also love how the partnership of Mr. and Mrs. Popper closely mirrors the relationship of Mr. and Mrs. Atwater, the authors of the book. This leads me to what I believe to be the really fascinating part of the success of Mr. Popper's Penguins - the authors. Richard Atwater wrote the original manuscript after watching a documentary about an Antarctic expedition in 1932. In 1934, Richard suffered a stroke which left him unable to write or speak. His wife, Florence, submitted Richard's manuscript to two publishers with no success. Florence, then rewrote sections of the manuscript and submitted it again. I find it amazing that the writing is consistent and the reader can not delineate the portions written by Richard from those written by Florence. In 1938, the revised manuscript was published by Little, Brown and Company. 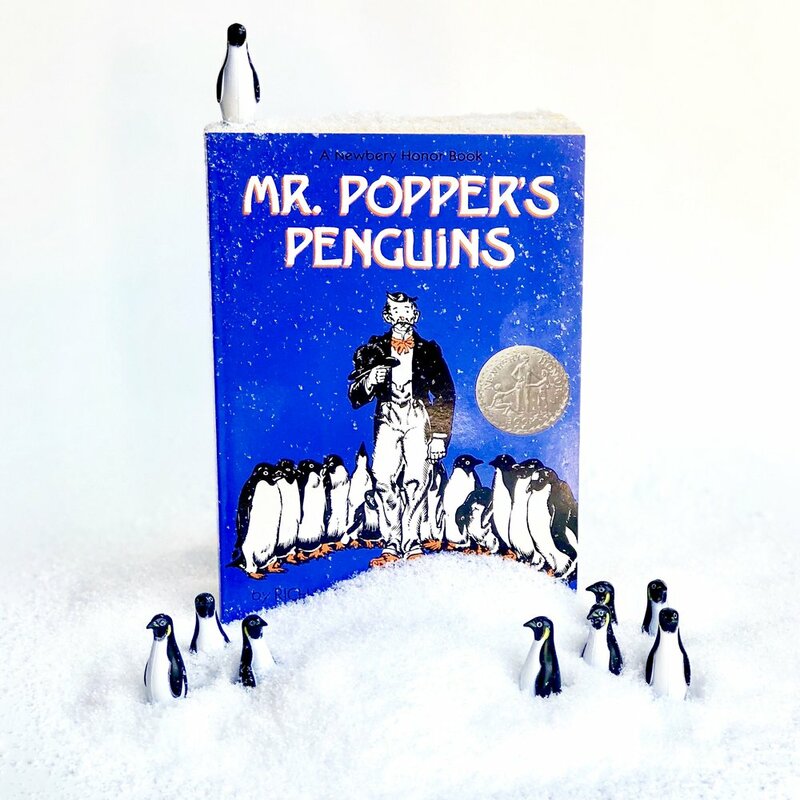 Mr. Popper's Penguin's was named a Newbery Honor Book in 1939 and has maintained a beloved spot in children's literature ever since! I love the story behind the story, especially when it involves the fascinating stories of authors who persevered until their stories were published. The world of books and literature would be at such a loss if authors gave up the first time they were denied publication! Here's to the idea of never giving up!!! In this second book of an eight-part series, we experience Anne’s growth into adulthood. I do miss the antics and craziness of Anne’s youth (as a parent it feels like time flies and our kids grow up too fast so I’m probably extra conscious of this right now). The addition of new characters in ‘Anne of Avonlea’ such as Mr. J.A. Harrison, Davy, Dora, Miss Lavender and, of course, the lovable Paul Irving are wonderful additions to Avonlea. Most importantly, however, I appreciate how Anne continues to see the best in everyone, treats others with kindness and shows us that one is never too old to possess a wonderfully delightful imagination!